The Wii is hugely popular with lots of people. Some people, though, are more wary of the Wii. One of those is Epic Games boss Mark Rein. 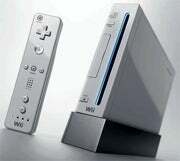 "People talk about, 'The Wii has run away with this generation.' I don't think that's true," Rein told game site Eurogamer. "Nintendo's made a lot of money and the software developers on that platform are scratching for seconds. Microsoft is clearly a big market for third-party games. PS3 has a smaller installed base, but it's still millions of users." But Nintendo has sold a gajillion Wiis! The install base is so impressive. Rein is more impressed apparently with Microsoft's Natal controller. "The whole concept of playing a game without a controller is very intriguing," he said. "Take EA Sports Active on the Wii. It's a great game but it's not very compelling to have to have all that extra hardware attached to your body. If you made a game like that for Natal — and I'm sure EA is doing it - Natal could just look at you and tell if you're doing the exercises properly." Anything could be your controller, the exec added.